There is no doubt that ex-military personnel are incredibly disciplined and well trained, and both of these factors usually serve these men and women well in their post-military careers—no matter what field they end up going into. That being said, there are a number of jobs that tend to be a better fit for former military service men and women and allow them to directly use their tactical skills and military training to their advantage. 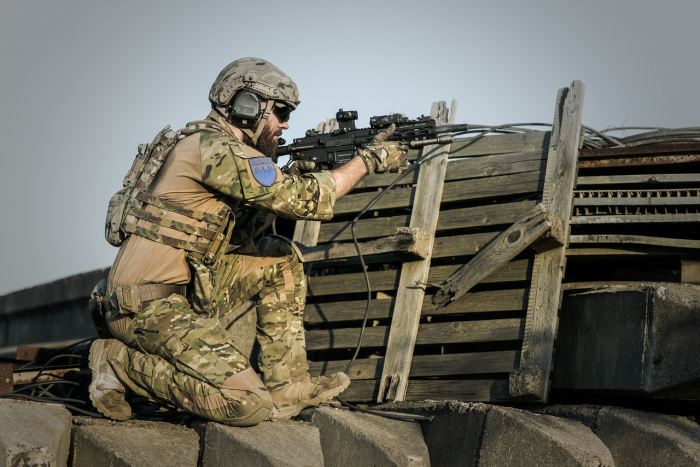 As a former member of the military, you'll generally have a huge range of different career options once you finally choose to leave the service. However, the following three careers are fantastic options that are generally a perfect fit for those with military training. One of the most common career choices for ex-military personnel is law enforcement. Whether it is working as a local police officer or sheriff or a career in a federal law enforcement agency such as the FBI, DEA or Department of Homeland Security, law enforcement is an obvious choice for many former soldiers. In fact, the level of discipline and tactical training you received in the military makes you an ideal candidate for a career in law enforcement. If you're looking for a career that allows you to use your tactical training to your advantage, working for a private security firm is another outstanding choice. As a security guard, you will be responsible for protecting individuals, businesses and assets. Companies like Trident Security often prefer applicants with relevant experience. In this sense, the training you've received in the military can be put directly to use and makes you a much more desirable candidate than those without any type of formal training. Although all military personnel are required to undergo some tactical training during boot camp, those who worked in some type of military intelligence role will also have received additional training that can also be put to good use upon leaving the service. In this case, a position as an intelligence analyst can be extremely rewarding—both personally and financially. Skilled intelligence analysts are always in high demand by both government agencies and private companies, and the majority of analysts are well compensated for their skills. Of course, this list is really only the tip of the iceberg when it comes to potential post-military careers. Nonetheless, all three of the above jobs allow you to directly translate your military training into the civilian world, which should help you to make the transition back to normal life more smoothly.